Andropause— a gradual decrease in blood testosterone and biological­ly available free testosterone— is a significant health issue in aging men. It is linked to heart disease, type 2 diabetes, depression, loss of muscle and bone mass and decreased sexual performance. It is not as obvious as menopause (per­manent cessation of menstruation in women), so many physicians don’t consider it a significant health issue. Landmark studies found that aging men increased muscle mass, decreased fat and improved quality of life from testosterone supplements. Australian scientists showed that aging men (55 and older) decreased abdominal fat and increased muscle mass without side effects following 12 months of low-dose testosterone therapy (nighttime testosterone patch). Abdominal fat deposition is part of the Metabolic Syndrome— a group of symptoms linked to heart disease that include insulin resist­ance, high blood pressure, abnormal blood fats, type 2 diabetes, inflam­mation and blood-clotting abnormali­ties. This was another study show­ing the benefits and low risk of testosterone therapy in aging men. The argument about whether free weights or machines are better for getting results is passionate on both sides. You need results, so we breakdown the argument from both sides. We'll examine the facts and then make some decisions about what is best for the results you are looking for. 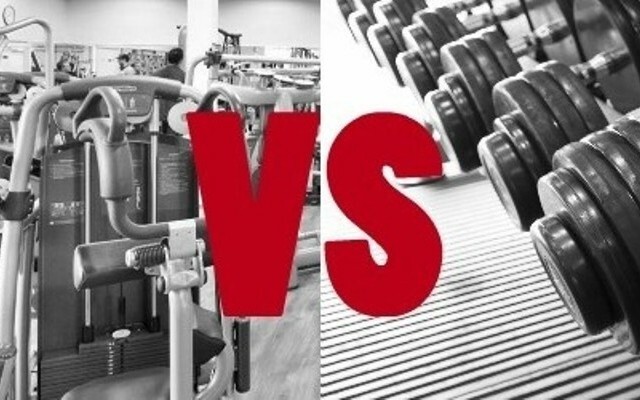 Both types of weights; free weights and machines, have value. The real question is which one is more valuable to you. When you go into a gym you may notice that machines dominate a large portion of the real estate. This has a lot to do with the fact that machines are great for people new to lifting. As you likely know, people who are trying to get back in shape make up a lot of the gym crowd. More power to them and we hope they stick with it, but they normally don't. Next month will bring a new group of people that are trying to get back in shape. Because of all of this turnover the average experience level of gym members is novice. Machines offer an advantage to these novices. Most machines are pretty self-explanatory and new members can figure them out by looking at them and sitting on them. They basically force the new member to do the exercise the way the machine was designed. This helps them get a foothold in the world of lifting and also keeps them safe. Another advantage offered by machines—and this one applies to all of us—is that they offer weight from positions that would other wise be difficult. Rather than having to invert your entire body and use dumbbells to do decline presses at an angle across your body, you can just use a cable machine. The biggest benefit of free weights is that you have to control the movement. Actually you GET to control the movement. You can get a lot more variety into your routine by changing angles in a variety of exercises. The other aspect of controlling the movement, that helps you gain muscle mass is the use of stabilizing muscles. As you move a dumbbell through the motion of a particular exercise that targets one primary muscle, you are using several secondary muscles to keep that dumbbell on a proper plane. A thorough workout routine will cut down the work you have to do on core muscle development. They will get a lot of attention as a by-product of the rest of your free weight routine. The fact that you are forced to control your entire body while lifting also helps your overall muscle mass gains. Another big benefit that applies directly to gaining muscle mass is that machines all have a maximum weight. As you lift heavier and heavier to gain muscle mass you will eventually surpass these machines. Machines also have fixed increments. With free weights, if you know you can lift 2 more pounds or 3 more you can just add them onto your bar or dumbbell. These may seem like small benefits at the time but over time you will see more results the sooner you can increase the weight you are lifting. Machines also offer real world strength. When asked which was more effective, free weights or machines, Mayo Clinic physical medicine and rehabilitation specialist Edward Laskowski, M.D., and his colleagues responded "Free weights simulate real-life lifting situations and promote whole-body stabilization when used correctly. " As we thought to begin with, there are definitely advantages to both lifting methods. The advantages that apply to lifters who are looking to gain serious muscle mass definitely come from free weights. It makes sense to get the most out of your time. Gaining muscle mass is hard work and it can be time consuming if you are looking for serious results. It makes sense that if we can get a lot more muscle building out of one exercise than another, we can get better results faster. What are these key exercises that will make the difference in your muscle mass gains: Compound exercises. Like anything else, compound exercises aren't a cure-all. They are part of a superior muscle mass building work out program. Compound exercises are ones that involve multi-joint movement. Obviously if you are moving more joints, you are moving more muscles. The alternative is known as isolation exercises. These focus on a single joint's movement and concentrate on developing one muscle. With a compound exercise you could be targeting two, three, and sometimes many more muscle groups. The prime example is the squat. You bend your ankles, knees, and hips. All of the muscles throughout your body see some impact. If you are using a barbell your arms and shoulders will see some work as well, just maintaining the bar. A lot of our muscle mass gains are in the interest of looks. We want the kind of muscle mass that we have sculpted and worked into an impressive physique. But most of us want to know that that muscle mass provides some real strength too. Compound exercises are great for developing real world strength. When you have to lift a couch—or as your mass gains increase, a car—you wouldn't be using just one muscle. Most of life's situations that require actual strength involve movements that are multi-joint, compound movements. Compound exercises provide the most bang for your buck. In the time that you can be doing an isolation exercise that benefits only one major muscle group, you could also have chosen a compound exercise. It is pretty simple to see that if you only have an hour to work out, all the time that hits more than one muscle group is more effective than the time spent on isolation exercises. Like we mentioned compound exercises are not cure-alls. Like any good muscle mass gaining program everything needs to be in proper balance. The majority of your workout should be devoted to compound exercises. A small portion of time will go to isolation exercises naturally. Some exercises, like curls are isolation exercises just by nature of how they are performed. Just because they are not benefiting multiple muscle groups, you certainly wouldn't take them out of your routine. Another reason you might turn to isolation exercises is to focus on a particular muscle. If you find that you are lacking development in a particular muscle, you can always choose an isolation exercise that concentrates on it specifically. This way you can build your muscle mass in an area that has been lacking. Once you have everything back in balance you will be able to lift more, and therefore get more muscle mass gains, during your compound exercises. While isolation clearly has its place, if you want serious muscle mass gains take a look at your work out routine. Are there a majority of compound exercises? If you think you should add some more check out the list below of compound exercises. 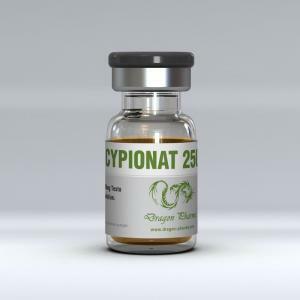 Due to bad publicity that workout supplements received from the media as a result of athletes who abused them in order to gain undue advantage over their competitors, not many people believed that in deed there are healthy bodybuilding supplements that could be utilized to assist either an armature or professional athlete gain the needed muscle mass so as to be competitive in their specific field of sports. But is truth be told, there are actually healthy bodybuilding supplements accessible in the marketplace today such as androstenedione. When prescribed correctly by a qualified medical practitioner as a competitive athlete or just anyone wishing to build some body mass you can be assured of good result over time. Technological development in information and communication technology has enabled internet to be the number one choice as a trusted source of information and there has been an emergence of men's as well as women's health websites that champion the use of health supplements. However, the same tool has been used by unscrupulous persons looking to make quick cash to give misleading information on the use of health supplements. For instance, a majority of men who believe that muscles are everything have blindly bought and used muscle steroids from such sites to their disappointment. Other than the internet the lack of control on the sale of multivitamin tablets has led to a number who walk in to pharmaceutical stores or supermarkets to just pick anything that has the words "vitamin supplements" on them. In an bid to try and promote the good use of nutritional health supplements, this article endeavors to provide useful pointers on the use of supplements. First and foremost, you need to consult a doctor or a certified fitness expert if you want to use bodybuilding supplements in order to accumulate muscle mass. 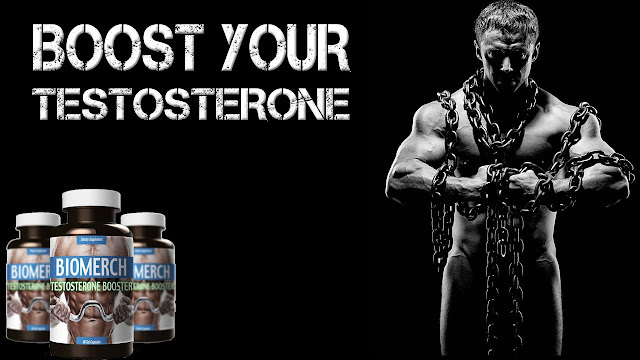 They will be in a position to prescribe the right types of muscle steroids to use. It is important to note that not all natural bodybuilding supplements contain the same ingredients. Each of the supplements that you see in health stores have varying percentages of contents some of which if not carefully administered can be detrimental to your health. Secondly, you need to set smart goals for your workout routines. A misconception that a couple of people who use muscle steroids have is that they will obtain the desired result overnight. That is a misconception that needs to be dispelled. -To assist you with lifting the weight when you can lift it no further, e.g., when the bar stalls during a bench press ascent. -To provide the minimum assistance to ensure that the last rep of a set is done in good form. In this case, you probably could get the rep out under your own power but your form would break down. Consider the last rep of a set of bench presses when one hand gets slightly above the other, and you feel like increasing the arch in your back in order to get that rep out. This is a dangerous situation. A spotter can make the difference between safety and injury. -During a set you may forget a key point of form. A spotter can alert you to key form pointers while ensuring that you put forth maximum effort. You need excellent exercise form and intensity of effort. The spotter must have an alert eye and be ready at all times of a set. He should spot with an arched lower back, not a rounded back—the spotter must be safety conscious and use good lifting form himself. He should be particularly alert when the lifter begins to struggle and good form starts to break down. An alert, serious and strong spotter should especially be present for squatting, bench pressing, and pressing, including all dumbbell pressing. For effective spotting, the help must be applied with two hands in a balanced way. For example, spotting the bench press by putting one hand under the center of the bar will lead to the bar tipping, as will using two hands but not applying them to the bar symmetrically. After an assisted rep, the trainee is going to be very fatigued. The spotter must help the lifter to return the bar to the weight saddles at the end of a set. If two spotters are involved, there must be excellent communication. Take the squat as an example. If there is not excellent communication, one spotter could take one end before the other spotter grabs his end of the bar. If one spotter shouts “Take it!” then the other must respond even if he thinks the assistance could have been delayed a little. A crash diet is a diet which is extreme in its nutritional deprivations, typically severely restricting calorie intake. 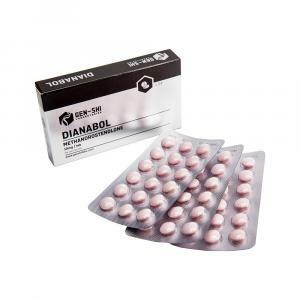 It is meant to achieve rapid weight loss and may differ from outright starvation only slightly. It is not meant to last for long periods of time, at most a few weeks. There are a number of situations when a crash diet can be required. Contest bodybuilding is as much a test of extreme willpower as of anything else. May be it’s not healthy to starve the body down to such super low body fat percentages (a male will commonly need to be 3-4% body fat to compete; a female 7-9%). But, as it is part of the sport, it is a necessary evil. Normally, contest bodybuilders will follow a progressively more restrictive diet starting 12 or more weeks out from their show. However, sometimes they get behind schedule and need to get caught up. Maybe they were fatter than they thought to begin with, maybe it’s their first show and they don’t know their body well enough, maybe their coach is just an incompetent. Any number of things can throw off a contest diet and getting into shape sometimes takes extreme measures. Crash dieting can get a bodybuilder back on track, or at least closer to making contest shape. Although bodybuilders lose extreme amounts of fat (and frequently dehydrate) for appearance reasons, many athletes have to do the same to make it into their weight class (or simply to perform better). Think wrestlers, powerlifters and Olympic lifters, etc. Although it would be far better for such an athlete to keep their true weight closer to their goal class and just dehydrate slightly to make it in, that doesn't always happen. Sometimes weight class athletes have to drop a tremendous amount of weight (and the more fat they can drop, the less they have to dehydrate) quickly. Other athletes may also have a need to drop fat/weight quickly to improve their performance. Think about an endurance athlete who may improve their power to weight ratio by dropping weight or someone of that nature. I should note, and I’ll come back to this, that dehydration beyond even a small level can really destroy performance capacity (extreme dehydration can cause death) so the crash diet should be used several weeks prior to the main event to drop a few pounds of fat such that normal hydration can be retained before competition. Bodybuilders’ Guide: The Worst Habit –Skip Your Workouts! If we will make a list of reasons that inhibit the growth of your accomplishments in the bodybuilding process, then certainly the biggest cause of your failures - it's a habit to skip your workouts. You should always go to training! And there should be no reason to pass: Illness, work, study or fatigue. If you fell that you don’t have enough power, just reduce your exercise program, it is still better than to skip your workout. It is very important to properly arrange the priorities. In power sports, the most important - is patience and consistency. Many beginners who start going to the gym burned in a month. The word "burn" in this sense means the loss of motivation, despair and disappointment in itself. However you should prove that you are a strong person and continue pursuing your regime of workout. Remember the most important thing and keep in mind these words: Each workout - this is a step forward and each missed workout - its 10 steps back. Once again that should be no reasons to skip your workout. And remember: Never doubt yourself. You can not be a champion since the birth, but you can become one and remember that a champion lives in each one of us. Female Bodybuilding: Finding The Perfect Body Shape! The goal of majority of women is to achieve the perfect body shape. Many of them fail to achieve it because they do not make the necessary amount of efforts, while others fail even while doing exercises due to the fact that they follow the wrong kind of training. Another problem is that many women to attain the perfect body shape irrespective of their age. For example older people might more difficult to shape their body because their muscles become weaker with the passage of time. Exercises like weight lifting might not suit aged women and they should follow this training program, only when advised by their physician. Older women should attempt to shape their body through simple exercises like climbing stairs, sit-ups, walking, simple free hand and leg exercises. These series of exercises may improve the blood circulation and the entire body metabolism. The undertaken exercises should also be suitable to the individual body structure. A body-shaping program represents a combination of several fitness principles, exercises and nutrition plan. This program deals with many aspects as like fat loss, reduction of cellulite, reducing inches and losing the stomach flab, proper muscle shaping, skin tightening, shaping thighs or other parts of the body. In this case a proper diet is also a very important factor. Younger women often use severe dieting to achieve the perfect body shape, not realizing all the nuances and facts. To obtain a good body shape women must eat healthy food like fresh vegetable and fruits and avoid fast food and other undesirable products. And of course this diet should be followed by an active exercising program Useful activities for young women, besides regular training would be rock-climbing, surfing, aerobics and kickboxing. Women that intend to lose body fat to achieve the aspired body shape need to do cardiovascular exercises. These exercises should be made half hour or more per day. In this sense aerobics is one of the most useful training processes. If a woman athlete continues to do her training exercises properly and follows the correct dietary regime she can expect to achieve the desired results. Women interested in shaping up their body must understand that there is a difference between bodybuilding and body shaping. Exercises like power lifting or weight lifting are not always suitable and often does not lead to the expected result in shaping the female human body. Motivations For An Efficient Training! Make a clear training plan and stick to it for about 4-6 weeks. Use your creative zeal and make high-intensity trainings and within a month you will notice the results. Do not grab from the beginning heaviest weights! This applies to both hands, and to any part of the body. In the beginning do 2 light warm up sets, and only the in the third one handle the maximum weight. Work at a moderate speed and complete control when lowering the weight. Proper performance of the eccentric movement, not only working helps you gain mass, but also protects against injury. Development of the biceps requires perfect technique, especially at the initial stage. Learn to work technically, and leave the "cheating" to the professionals. At the point of peak reduction use an additional strain on biceps. This offers a great "pump" and accelerate muscle growth. Work through all sorts of biceps exercises. Avoid monotony in training change often the complexes. Rest between sets for at least 1 minute. Continue to exercise at a different group of muscles after 3-5 minutes of rest. Remember: the main part of the body it’s your head or to be more precise your thinking. Learn how to monitor the brain activity of the muscles. For the development of the biceps it is particularly important. The statistics shows that nowadays 65% of people do not get the required amount of sleep. If you want to look good, you should monitor your sleep. Lack of sleep affects your performance and can cause many problems. For people who are involved in bodybuilding process, it is especially important because it can affect the growth of muscle mass. Doctors recommend sleeping 8 hours a day, but you must ensure that your sleep process was healthy as well. There are opinions that the sound of an alarm clock waking you up is harmful, due to the fact that it violates your internal rhythms of sleep. In order to get up on your own, you must develop your own sleeping regime. You must pursue different experiments; for example, go to bed earlier than usual. Do not watch TV before bedtime, because it stretches the optic nerve, and in consequence it disturbs the cerebral cortex. Three hours before sleep you need to complete any physical activity, especially exercising. If you are going to sleep, but you cannot fall asleep, you can read a book or a magazine in order to relax. And in any case, do not drink alcohol; it is very negative for the entire body. Try to keep your sleep healthy without using sleeping pills. Take care of your sleeping process as you take care of your dietary regime or workout regime. The sleep is as important for an athlete as any other activities. Carbohydrates (also often called carbs) represent an important source of energy and their restriction or lack can significantly reduce your results in bodybuilding. Carbohydrates are simple and complex, they are a source of energy in bodybuilding and they are efficient if mostly used after a workout, when you need to quickly replenish glycogen stores. Each gram of glycogen holds with it four grams of water, on the accumulation of fat at the expense of carbohydrates. The main carbohydrate intake should take place in the first half of the day, when your body needs to renew. In the second half of the day takes place the processing of carbohydrates into glycogen, switched to the side of storing fat reserves. While forming the muscle mass carbohydrates are very important. This is why you should have no shortage of carbohydrates. On the day you should get 4 to 6 grams of carbohydrates, which should be mostly complex. The sources of complex carbohydrates should be mainly cereals or other similar products. 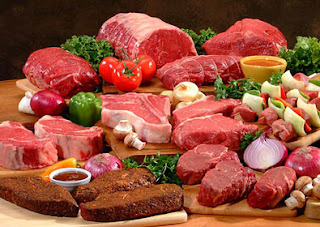 It is also required to consume a lot of fruits and vegetables. Bodybuilders may have noticed that if you reduce the amount of carbohydrates, fat go away more quickly than when you exclude the fats from the food. If you have a goal to throw off those extra pounds, then this is worth doing at the expense of carbohydrates. But this process should be accomplished gradually, in order not be crumbled muscle mass. 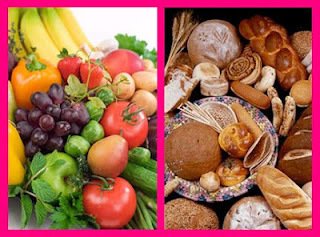 Foods high in carbohydrate include fruits, sweets, soft drinks, breads, pastas, beans, potatoes, bran, rice, and cereals. Carbohydrates are a common source of energy in living organisms.